MAH HM CET 2018 is for the admission in the first year of Graduate degree course in Hotel Management and Catering Technology (BHMCT) for the academic year 2018-19. MAH HM CET result has been declared on 5 June 2018. Earlier, MAH HM CET Admit card was released on 17 May 2018 for the entrance exam which was conducted on 27 May 2018. The last date to submit the filled in application form was 8 May 2018 with the application fee of Rs 800. CET for MAH BHMCT admissions is a computer-based test. 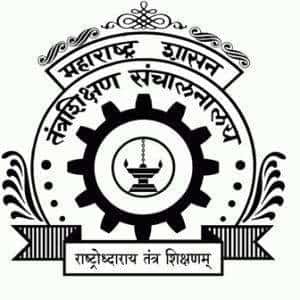 MAH HM CET 2018 is conducted by Government of Maharashtra for admission in the BHMCT course in the Government Aided and Unaided Institutes. Candidates can get here all the details regarding MAH HM CET like application form, Admit card, Result, Counselling etc. Scroll down for MAH HM 2018 CET. Latest Update: Maharashtra HM CET 2018 counselling schedule has been released on 14 June 2018. The candidates can check MAH HM CET 2018 counselling schedule on the link given below. The candidates who qualified NCHMCT JEE are also eligible to apply for DTE Maharashtra HMCT CAP Counselling 2018. Maharashtra Hotel Management CET Result 2018 has been declared on 5 June 2018. The Link to check the result is available below. Declaration of MAH HM CET Result - Declared! Candidates must have passed HSC or its equivalent examination and obtained at least 45% marks in aggregate. Percentage of marks shall be calculated by rounding off to two decimal places. Candidates appearing for qualifying examination are also eligible to appear for MAH HM CET 2018. MAH HM CET 2018 Application Process is conducted through the online mode completely. The MAH HM CET application process has been closed. However, the candidates are suggested to keep themselves updated on the website of Motachashma for all the latest updates regarding the MAH HM CET. The steps to fill the MAH HM CET application form is given below. The candidates are suggested to follow the steps and fill the application form. The steps will help the candidates in providing the complete guidance while filling the application form. STEP 1 (Registration): Candidates must register themselves by choosing the new registration option and enter their Name, contact details, and Email-id. Candidates will receive a Provisional Registration Number and password. STEP 3 (Select the Test Centre): After uploading the photograph and signature, the candidate has to give three test preferences and the test centre will be allotted to the candidates for the examination according to the availability. STEP 4 (Preview and verify): Candidates have the option to preview and verify their entered details before the final submission of the application form. Candidates can pay MAH HM CET 2018 application fees online by using Online Payment Gateway such as Debit card (RuPay/Visa/MasterCard/Maestro), Credit Cards, Internet Banking, IMPS, Cash Cards/ Mobile Wallets. On completion of the transaction, the candidates will receive an e-receipt. If there is any kind of failure of the generation of the e-receipt candidates are advised to log in again using the provisional registration number and password and repeat the process of payment. Candidates are requested to take a printout of the e-receipt and online application form. If the e-receipt is not generated the online transaction may not have been successful. Candidate need not send the printout of MAH HM CET 2018 application form. The application form has to be submitted online only, however, candidates are advised to take a printout of the application form for future reference. MAH HM CET Admit Card/ Hall Ticket was available to download from 17 May 2018 for the online examination conducted on 27 May 2018. The candidates must enter their Registration Number/Roll Number, Password/date of birth to download the MAH HM CET Admit card. Candidates must carry their admit card and a valid photo ID proof on the day of the examination because without the admit card the candidates will not be owed to enter the examination centre. The admit card will contain the name of the candidates, parents name, date of birth, exam centre, and its address. MAH HM CET Application Fee given below is different for all the categories. The candidates belonging to the respective categories must pay their application fee accordingly. The fee has to be paid through online mode only. The Application fee once paid by the candidates is non-refundable. For all candidates belonging to Maharashtra State of Backward Class Categories [SC, ST, VJDT NT(A), NT(B), NT(C), NT(D), OBC, SBC] & Persons with Disability Candidates. MAH HM CET Result 2018 has been declared on 5 June 2018. Candidates appeared in the entrance exam can check their result by visiting through the link given on this page. Candidates who will qualify MAH HM CET will be called for counselling after the declaration of the result. On the day of counselling, the candidate has to report along with the copy duly filled Application Form and Demand Draft towards payment of nonrefundable fees Rs. 5000 in favour of “Director, Technical Education, Mumbai” payable at ‘Mumbai’ or city where the candidate appears for counselling round. SC/ST candidate need not pay the counselling fee. Mode of Exam: MAH HM CET 2018 will be a computer-based test. Duration of Exam: 1 hour 30 minutes. Type of Questions: Multiple choice questions (Objective types). Candidate can attempt any question at any point in time within the exam time. Negative Marking: There will be no Negative marking for MAH HM CET test. MAH HM CET 2018 will have 100 questions of 100 marks each. The candidate has to select the most appropriate answer and ‘mouse click’ that alternative which he/ she feels is appropriate/ correct. The alternative/ option that is clicked on will be treated as the answer to that question. MAH HM CET 2018 will be conducted in the selected cities in Maharashtra State. There are total nine test centres, the candidates will have to give three test centre preferences while filling the application form. The list of the test centre is given in the table below. No request for change of centre/ venue/date/session for Examination shall be entertained. The Competent Authority reserves the right to allocate the centre and venue.